Extensively used for domestic and commercial applications, our vast range of Bulb Holders are widely in demand. Manufactured using latest technology and manufacturing facilities, our bulb holders are strong and sturdy in design. Also, we can custom design the range in accordance with the specifications of the clients. 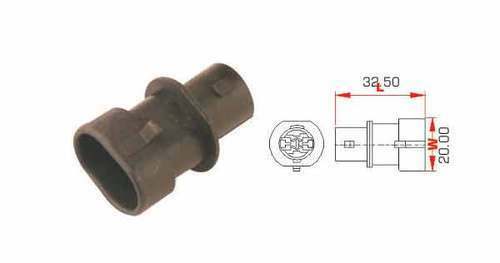 An ISO- TS 16949: 2002 certified company, we are serving Indian automotive industry and appliances industry with our range of electrical terminals, electrical connectors, automotive terminals and automotive connectors. Leveraging on our vast experience of 16 years in the market, we have been able to expand our operations and reach a mark of excellence through quality and innovation. With the help of our production, research and testing laboratories, we are able to match the minutest expectations of our clients with utmost efficiency. Our diligent team of professionals makes sure to develop our range in accordance to the demands of our clients, thereby carving a niche in the competitive industry. Our human and material resources have helped us in etching a reputed clientele that includes Ashok Leyland, Hero Honda, Hindustan Motors, Honda, Philips, Mahindra, Maruti, Suzuki, Swaraj Mazda, TATA, TVS, Eureka Forbes, Godrej, Videocon, Voltas Limited, Whirlpool. Terminal House, Bldg 3, Merchant Indl. Complex , Valiv,.